Every year in November, in a multitude of ways, Americans distort the story of Thanksgiving. Are you guilty of blending the facts and myths? Do you perpetuate the stereotypes and generalizations? The answer you are looking for is, yes. Isn't everyone guilty of this at some point? I know I am. 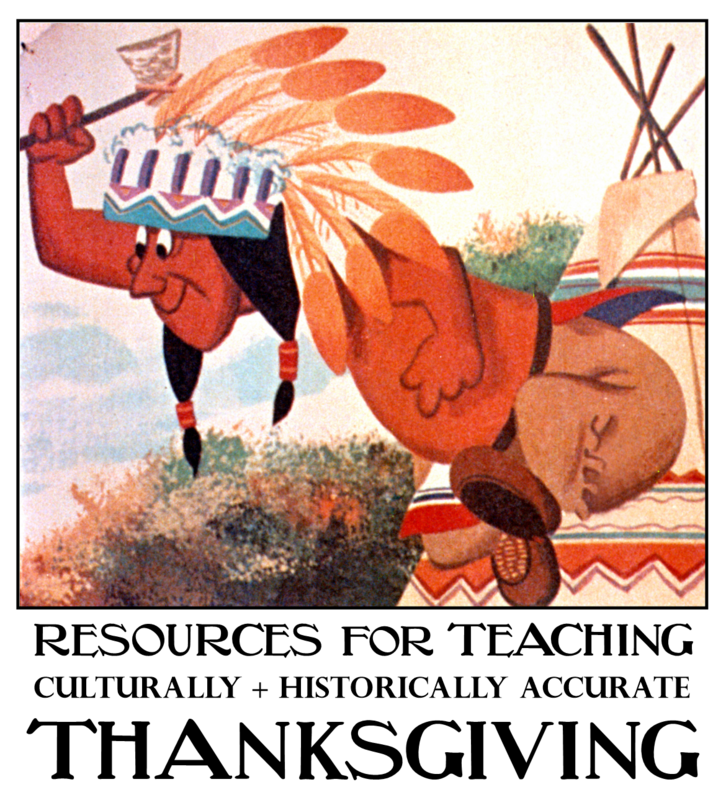 After all, most of us grew up with only partially accurate stories about the Pilgrims and the Indians. Even in some of today's classrooms, students only learn about Native American culture during the month of November. Because all American Indians are alike? Were they all at the first Thanksgiving? Yes, I know. I'm exhausting all possible labels for America's indigenous peoples. 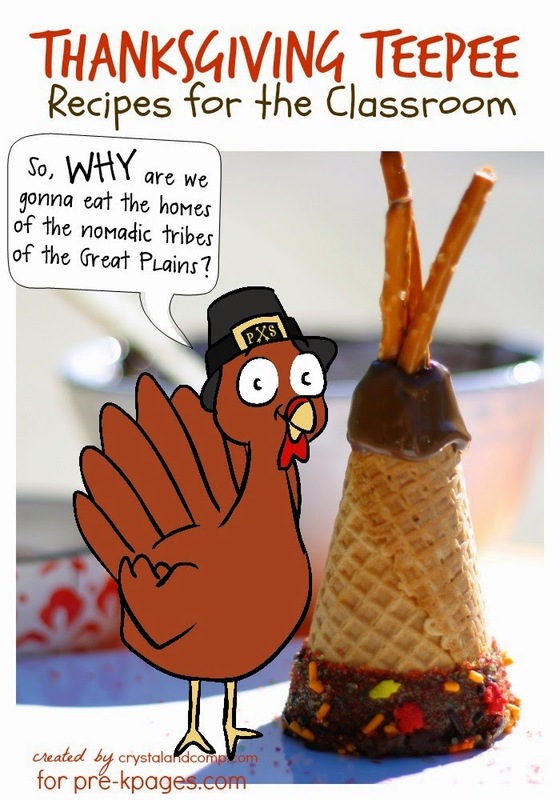 Thanksgiving as a jumping-off point for studying American Indians, yes! I've just never really seen that happen. It's more like that one time that all the Native American tribes- usually referred to in past tense, as if there are no Indians left in America- had dinner with the Pilgrims. 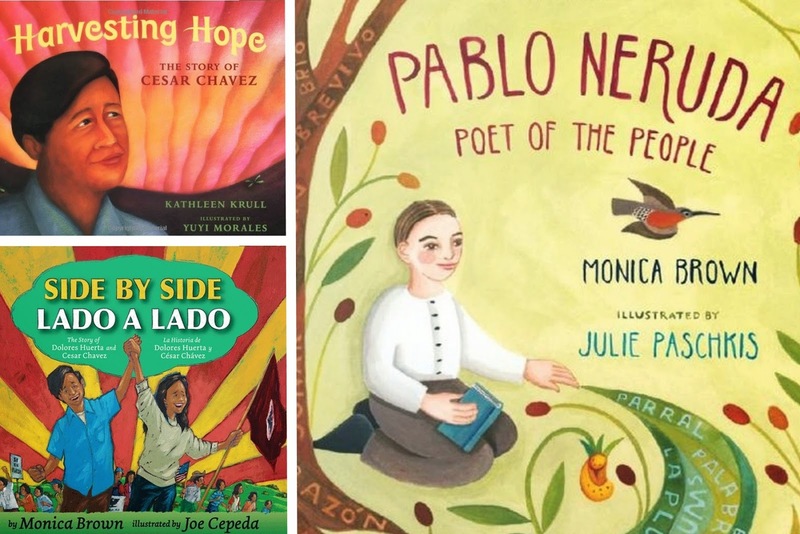 In recent years I was even in a classroom where the teacher pulled all of her Thanksgiving books into one section for easy access for the students. Among the titles was a book about Pocahontas and another about the Cherokee Nation, neither of which was remotely relevant to the history or tradition of Thanksgiving. I don't think the teacher believed that all of these books were related to Thanksgiving or that all American Indians are the same. However, like so many of us, she either didn't care or want to take the time to think about the implications. Now that we're homeschooling, I wanted to do my best to set the record straight in our house. I planned to go all Howard Zinn- dialed back a notch for age appropriateness. I'm sharing some of my favorite references here in hopes they might assist others in breaking the cycle of misinformation and also so I can easily access them for the future. Education World: Teach the Real Story of the "First Thanksgiving" is a helpful guide for positive teaching strategies, avoiding stereotypes, and considering the Native American perspective. The REAL Story of Thanksgiving by Susan Bates provides details about what a day of "thanksgiving" really meant in early colonial days. Native Child: Teaching Kids the Wonderful Diversity of American Indians offers teaching strategies, facts, and statistics about American Indian cultures. While it is not a Thanksgiving reference, it does shine a light on some of the stereotypes reinforced by not teaching it accurately. The Wampanoag by Kevin Cunningham This nonfiction book is part of A True Book: American Indians, published by Scholastic. The reading level is 5.4 and offers a deeper look into Squanto's life and the decades of war that ensued after the first Thanksgiving. 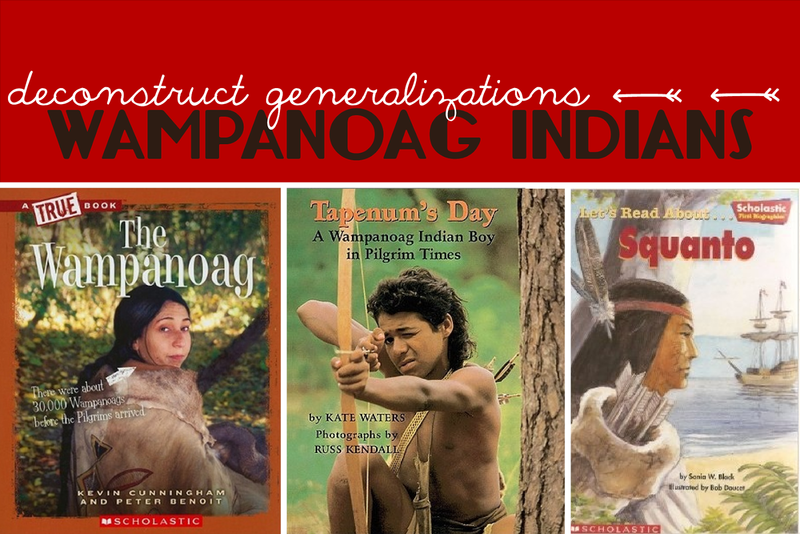 explores what life was like for a Wampanoag boy. The reading level is 4.6 and the photographic story includes Wampanoag words, with a glossary and pronunciation key. 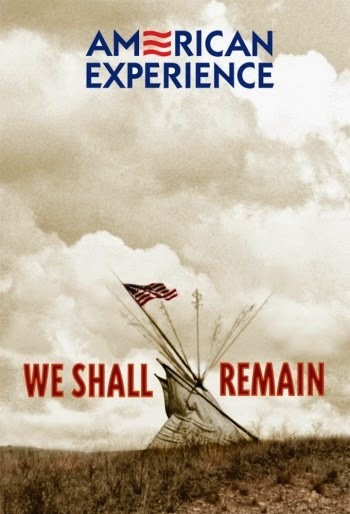 We Shall Remain: After the Mayflower is episode one of a five-part PBS television series and it is so phenomenal I plan to keep watching. The episode is long and may be best suited for older kids. We watched it in segments and I paused it several times to discuss the dialogue. This film was more enriching than any other program or book I could recommend, offering an opportunity to hear Algonquin dialect and interviews with Wampanoag people. It's a must see, even if you aren't exploring the first Thanksgiving, which takes a backseat to all of the other history. One of my favorite things about homeschooling is that learning can be very fluid. Being the type A that I am, I always have a plan. However, I very rarely have a time limit and we never have to worry about veering off course. In fact, we change course quite a bit, usually because we've stumbled on to something that is too fascinating to file away for later. The latest example of this was what I've been referring to as The science we learned from Squanto. Scroll down for more Mayflower resources. For several years, I've been using a Peanuts episode to provoke discussion about events leading to what we all think of as the first Thanksgiving. 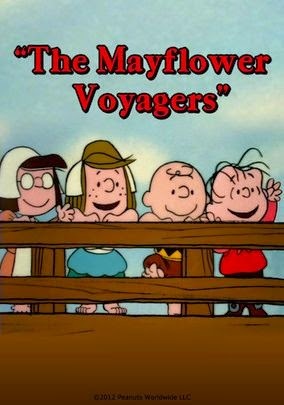 This is America, Charlie Brown: The Mayflower Voyagers, is a surprisingly accurate account of what the experience must have been like for the pilgrims. It's lighthearted enough for early learners, but it doesn't gloss over the hardships of the journey (though it completely glosses over the annihilation of the Patuxet people). Comprehension and Discussion Questions for the movie. Every time I watch this flick, discussions always take a different path. 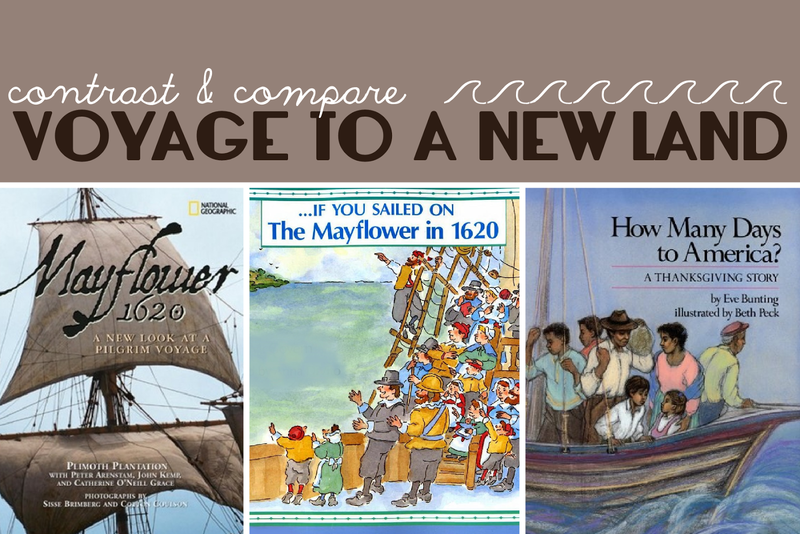 Last year, a group of first graders turned it into a math lesson, using the counting up/counting down method for determining how many voyagers actually made it to the new world. Before that, a group of 2nd graders turned the discussion into an issue of wants verses needs, analyzing what the pilgrims might have taken with them on the journey. This year was my first time watching it as a home educator and there was one part that really jumped out at me. Squanto taught the Peanuts, I mean Pilgrims, that the best time to plant corn is "when the oak leaves are the size of a mouse's ear." Since I've always stayed away from the Native American content in the program, I hadn't really given that quote much thought- until now. The Patuxet understood that plants and animals take cues from local climate, using their observations of seasonal changes to make astute agricultural decisions. This is something we learned when we investigated Squanto's instructions for the Peanuts pilgrims. We also learned that this adage is a principle of a modern-day science called phenology. 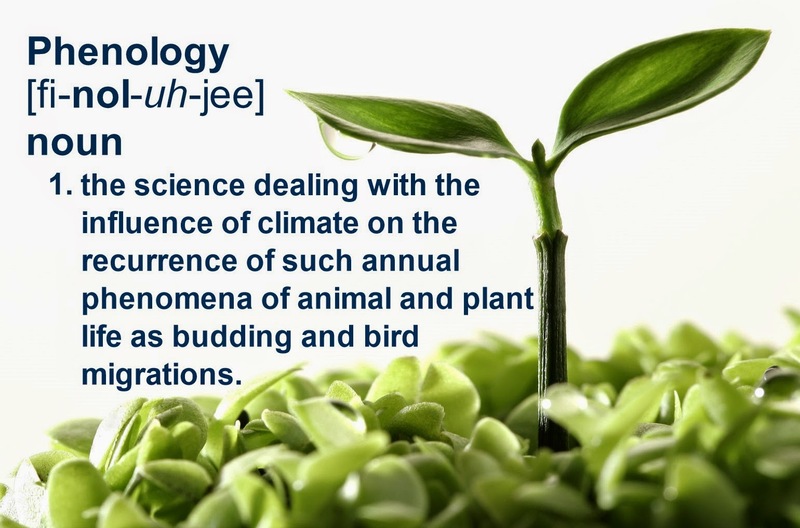 Have you ever heard of phenology? And just like that the course of investigation changed from pilgrims to phenology! By the end of the day, we were official citizen scientists, signed up to document our native plants and animals for the National Phenology Network. The organization calls on amateur naturalists to join its Nature's Notebook program to help scientist gather valuable information on plant and animal phenology. Nature's Notebook is a national, online program where participants record observations of different plants and animals, generating long-term data sets- in the name of scientific exploration, discovery and decision-making. Once signed up, members can scroll though the online database of species to select plants and/or animals specific to their own backyard or community. Finally! 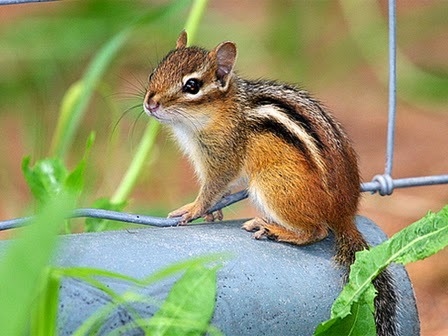 There is a reason for letting that scurry of chipmunks live in the chicken run! and Virtual Tour of the Mayflower. Take a look at the inside layout with this cutaway diagram of the Mayflower. Check out the History Channel's movie Desperate Crossing: The Untold Story of the Mayflower or view it here with a subscription to the Streaming Digital Media Library. and If You Sailed on the Mayflower in 1620. Service learning is one of the perks of homeschooling my child. Service learning can mean different things to different people. To us: Service means contributing or helping to benefit others and the common good. Learning means gaining understanding of a subject or skill through study, instruction or experience. Combining the two concepts creates learning through active contributions that help meet the needs of our community. I like to think that all children are compassionate and want to make a positive impact on the world. My husband and I try to nurture that inclination with JK as much as possible. It started with a lemonade stand. 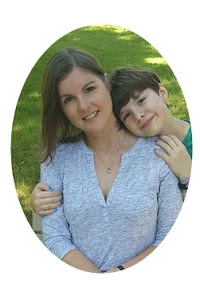 Then a week-long Volunteer Odyssey introduced us to hunger and homelessness in our community and really ignited Janie Kathryn's desire to help others. 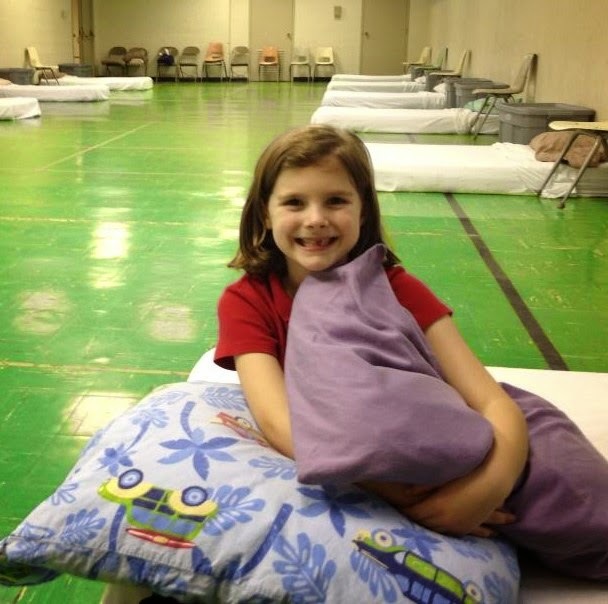 We became regular volunteers at a local soup kitchen and seasonal shelter... that is until school started. I was student teaching and JK was in second grade. There was no time for volunteering. There was no time for anything, except for the seemingly endless amounts of homework. I often found myself thinking it would be so much better if, instead of useless homework practice, she could apply what she is learning in the context of something she enjoys. Taking a step further, we could do this through serving our community. What a dream, right? Well, with homeschooling that dream is a reality. 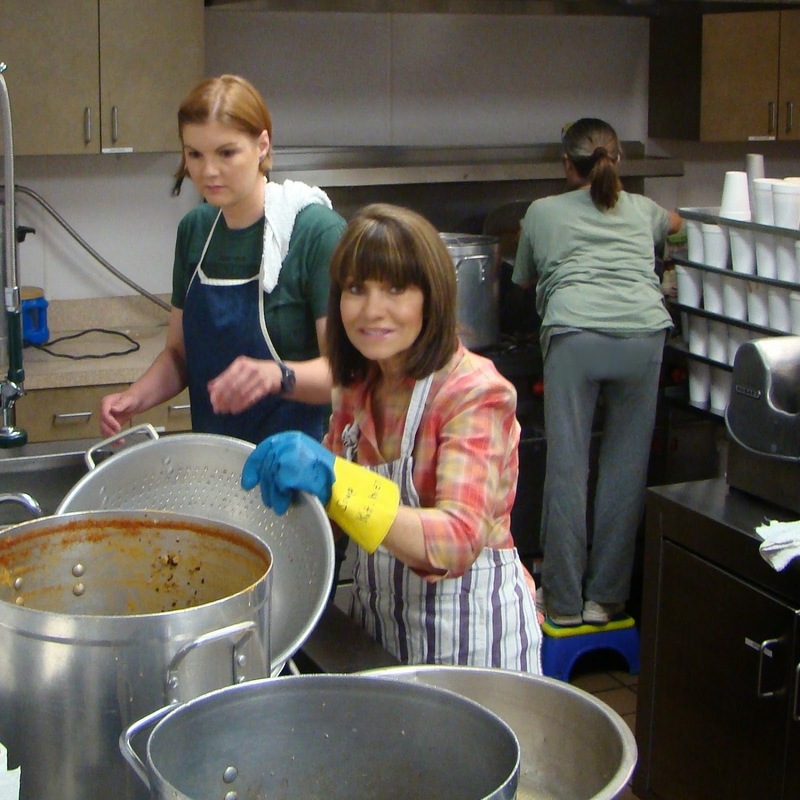 Among other service-oriented activities, we have a weekly shift at the soup kitchen. 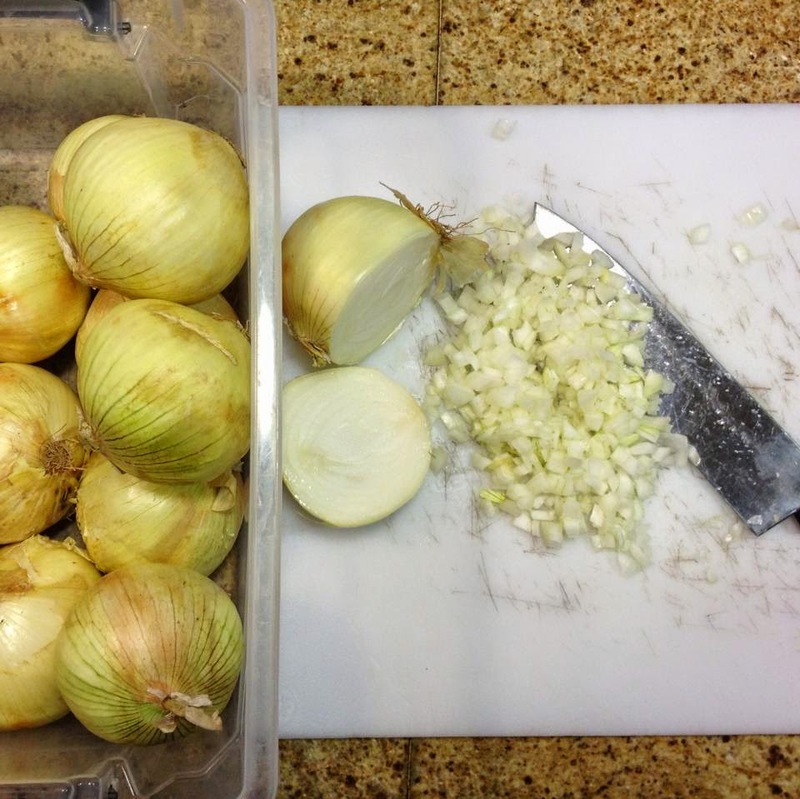 You might question how a child can replace homework by volunteering at a soup kitchen, but it happens. And I contend that the learning that takes place is more meaningful and authentic, with a much higher retention rate than anything she learned in school or practiced at home. There are obvious life skills that are practiced- kitchen safety, food preparation, serving, cleaning tables, washing dishes, sweeping and mopping floors. There is a very valuable social aspect. From working with a diverse group of volunteers to connecting with people whose lives are very different than ours. And people always question the "socialization" of homeschoolers. Then there are less obvious ways to learn. For instance, we once practiced mean, median, mode, and range using the numbers of people served at the soup kitchen. We've practiced multiplication and division (really, it was algebra) using the peanut butter sandwiches we so often prepare. The possibilities are limitless. You have 15 loaves of bread. Each loaf has 24 slices. How many sandwiches can you make, using 2 slices per sandwich? It isn't always a dream come true, believe me. Some days 7:15am seems earlier than usual and one or both of us is not up for finding ways to practice newly acquired skills, but we always manage to get ourselves to our shift and make the most of it. Still, service learning is one of those things I have to file under Why We Homeschool. Now that we know the ropes of this learning through service, I hope to invite more kids to join us. Be sure check the happenings for service learning opportunities! Allow me to clarify, before you scroll through these thematic suggestions. I do not mean to imply that these books provide historically accurate information about the events surrounding the first Thanksgiving. 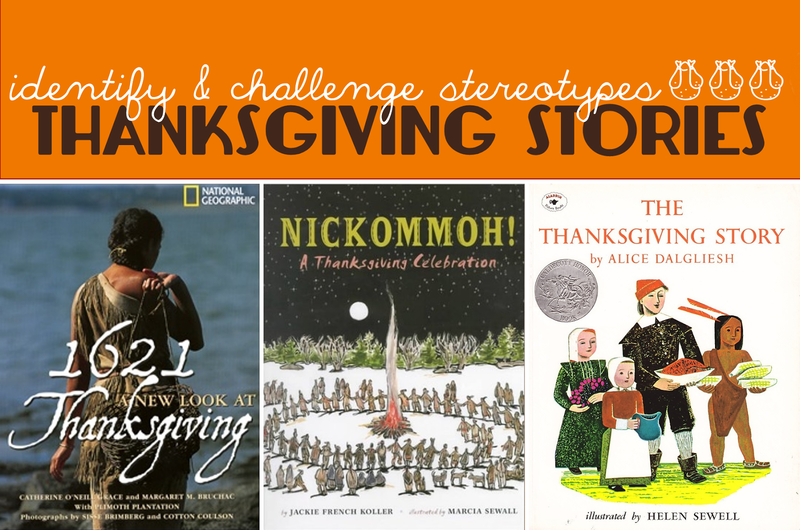 On the contrary, I chose some of these books for my Thanksgiving unit because I wanted to have opportunities to identify cultural stereotypes and historical distortions. 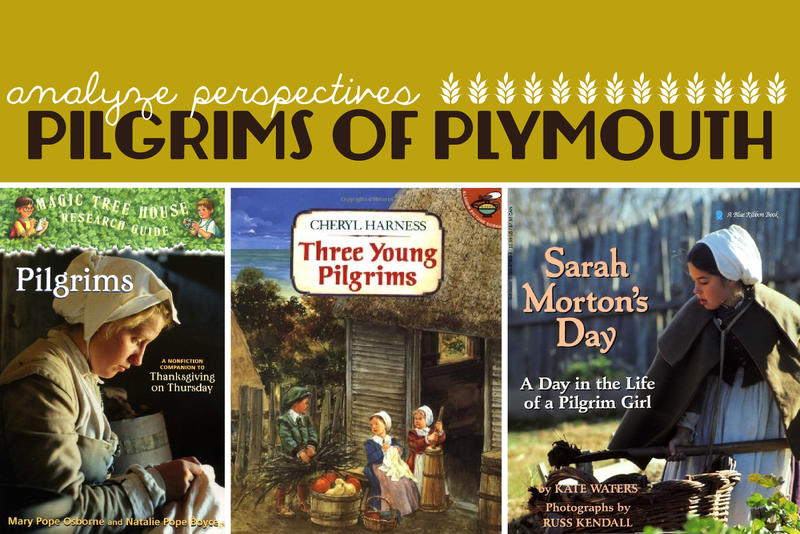 This is our reading list and discussion topics for a well-rounded discussion about the story most Americans cite as the first Thanksgiving. Most of these books are still in print and available in paperback. All of them are likely at the local library if they're not checked out (good luck with that). At our annual eye appointment, the doctor asked if we needed a note for school. I replied, "No, we're homeschoolers, but I'd love to take a few pictures that we can use for learning more about the human eye." And just like that we were in Ophthalmology 101. Subscription required, but some videos are free. 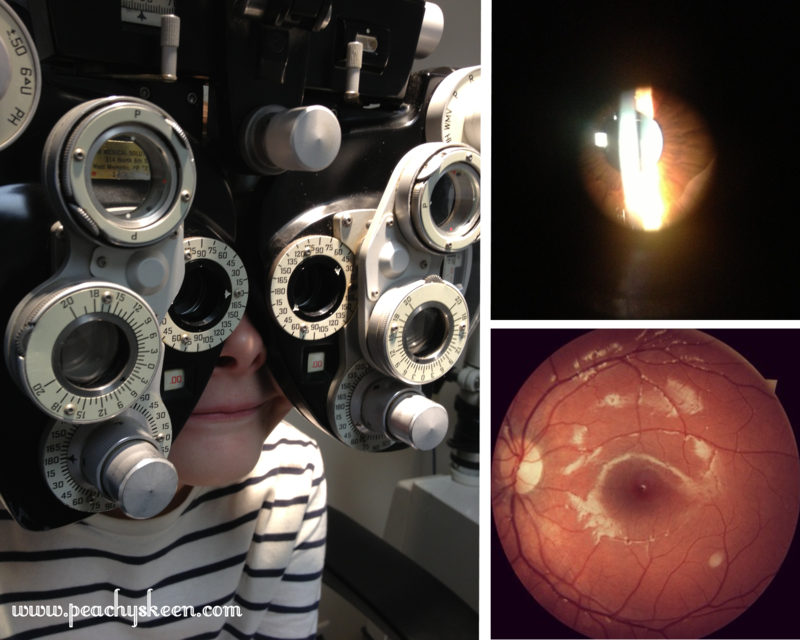 We looked at detailed images of JK's retina. The doctor pointed out different parts of the eye, providing explanations of how they work. We learned about how the doctor uses refraction to determine if a patient needs eyeglasses and what his or her prescription would be. When we returned home, we put aside the next chapter of Ramona Quimby, Age 8 and we surfed the web for more lessons on the human eye. Of course there is a BrainPOP on the subject! 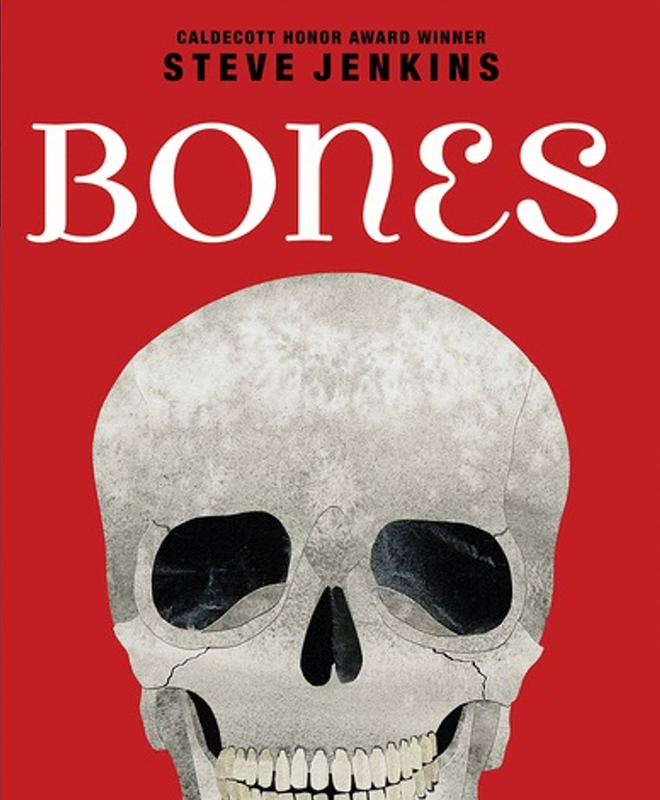 And this is our favorite book about the human body. We also found a really great resource for further exploring what we learned at the doctor's office. Check it out here. The Crayola website has a printable Human Eye coloring page that looks pretty cool too! JK opted for drawing her own diagram- equally cool! 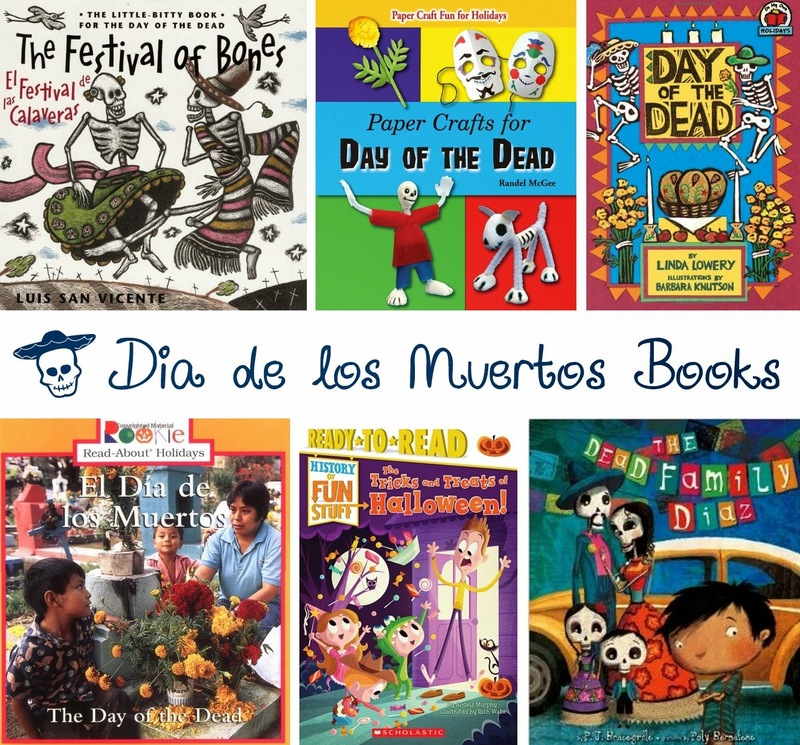 Throughout the month of October we learned about El Dia de los Muertos and observed Hispanic Heritage Month, connecting what we know about harvest time to the lives of Hispanic activists Cesar Chavez and Delores Huerta. Here is a list of the books we read. You can find many of these books at the library. Some of them are available in paperback from Scholastic Reading Clubs and most of them are available in one form or another on Amazon.